Irrigation Repairs - Sprinkler Experts In Fort Collins | Advanced Landscaping & Sprinklers, Inc.
There’s something about home ownership that brings out a sense of pride, particularly when it comes to landscaping. On a sunny Saturday morning in any Colorado neighborhood, it’s common to see people working in their garden, cutting the grass, or just proudly surveying their domain. If there’s something wrong with your residential irrigation and sprinkler system, it could be time to call a professional. At Advanced Landscaping and Sprinklers in Fort Collins, we’re proud to be a leading provider of irrigation repair and installation services throughout Colorado. Our technicians are well-versed in a variety of irrigation types, from soaker hoses to drip systems to automatic spray systems, and beyond. Contact our landscape professionals today to learn more about our irrigation repair services! Whether you’re interested in upgrading your current irrigation system with a more efficient model or you’re looking for a repair specialist to perform a thorough diagnosis of your current sprinkler system, we can help. When you schedule an appointment with one of our irrigation experts, we’ll take the time to carefully inspect all of the components of your sprinkler system. From examining your pressure valve, sprinkler heads, and vacuum breaker, we’ll perform a comprehensive evaluation of your irrigation system to get your lawn back in tip-top shape. Taking good care of your home’s sprinkler system is critical to the health of your lawn and landscape. While there are many warning signs to be aware of, it can be difficult pinpointing exactly what’s wrong with your irrigation system without the help of a landscape professional. If you start to notice any of the warning signs below, contact our technicians today to schedule a sprinkler repair appointment. Whether you have a drip irrigation system or an automatic spray system, it’s important to make sure your sprinkler system has an even flow of water pressure. If a certain section of your irrigation system, or even just one sprinkler head, refuses to spew water with the same amount of pressure as the others, it could be an indication that something is wrong. Have you started to notice pools of water in random areas of your lawn? Are there brown patches of grass scattered throughout your landscape? If you have a current sprinkler system in place, this could be a surefire sign of a malfunction. Irregular water flow can be caused by a leak or damage in your system. Uneven watering can cause damage to your plants and landscape and should be remedied right away. 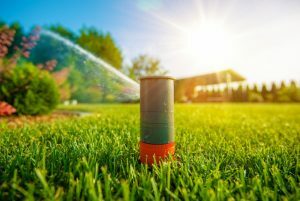 If you’ve started to notice that your water bills seem to increase with each passing summer, it may be time to have your irrigation system inspected by a professional. Like anything else, as your sprinkler system ages, it will become less and less efficient. 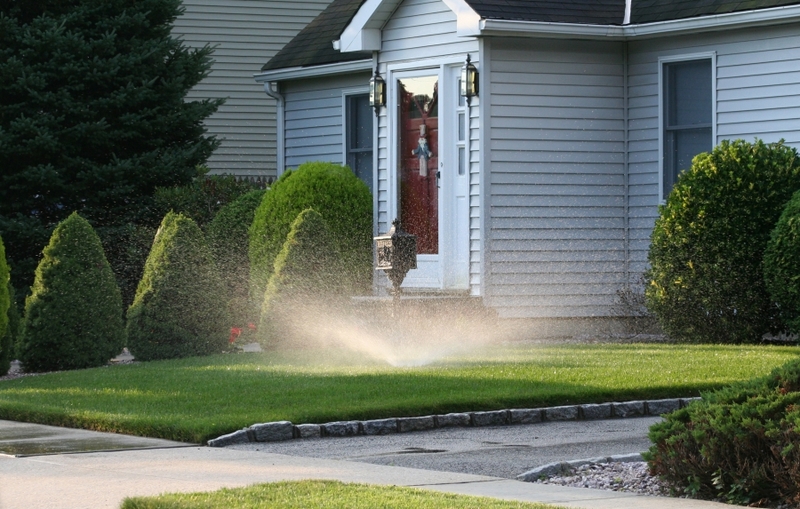 In order to ensure that your sprinkler system isn’t the root cause of your expensive water bills, contact a landscape and irrigation specialists today.